After a stunning performance from part one of Kidman's story it isn't hard to go into part 2 titled "The Consequence" with exceedingly high expectations. But can Kidman's campaign keep the momentum going? Or was part one as good as it's going to get? It's not hard to go into "The Consequence" with seriously high expectations after the stunning performance of "The Assignment". With it coming off the cliffhanger that was left from part one right in the thick of Kidman's story and the genuinely scary experience it has some clown sized shoes to fill. It tries it's very hardest to keep up with the quality of part one but ultimately falls short and that's largely due the restrictions put into place in the main game. Those restriction's being Kidman's placement throughout the story. The biggest thing that made "The Assignment" so great was the genuine sense of terror and what helped achieve that was the constant dark environments. Here, however, about half of your time is spent outside in the broad daylight so that her story lines up with Sebastian's in the construction site and the bus sequence. So in that regard its very clever how it ties itself into the main narrative but from a horror standpoint it's a bit pants. This isn't the only narrative tie in however and some of the others are very clever and had me impressed. Remember that part in the hotel with the dumb waiter from the main game? Well that gets explained in a fairly comical manner here. There are many parts throughout that will have you going "Oh yeaaahhh, i remember this" and it's done very well. Story wise Kidman's story concludes as strongly as it started and is actually more important to the overall story than Sebastian's. Which begs the question, why wasn't Kidman the main game and Sebastian the DLC? A lot of questions are answered however certain things still remain a mystery which hints heavily at a sequel. As a whole though the story is great and leaves you wanting more and Kidman is still a fantastic character. Another thing that separates this from the previous part is the increase in gunplay. There are several sections here that task you with fighting a small horde of enemies with either a pistol or a shotgun. It's handled fairly well but it still loses the tension created within part one. However the final boss fight that requires you to shoot him with a shotgun is really well crafted. There's several stages to it and one has you fighting creepy versions of Kidman. It's a shame that these weren't more prevalent in both parts of her story as they are very good enemies. Also the end of chapter 3 you finally get to fight the long legged lamp lady head on and defeating her after the torment she inflicts on you is really satisfying. A new element to the game introduced here are Chemical Lights. These take the place of the flashlight (the flashlight is still in some parts) and can be thrown to light the way. Honestly they aren't as fun to use as the flashlight and feel a tad inconvenient to use. They are pretty cool for the small section you use them in though, but any longer and they would have outstayed their welcome. Achievements in the game are fantastic. While it has the staple beat the chapters and collect everything, there are some really creative achievements to chase. One is tied to the dumb waiter incident earlier, which is really cool but the best one is the one you can grab right before the final boss. This achievement has you breaking the forth wall by shooting Ruvik's brain in the glass ball. Doing so will instantly cut to a black screen and roll credits with a picture of the 3 protagonists in a cheesy happy photo. After that, it pulls you right back into the game and gives you an achievement called "Stick to the script". That whole experience had me confused and then when the achievement popped up it made me laugh pretty hard. It is a well crafted troll on the audience and a perfect use of the achievement system! 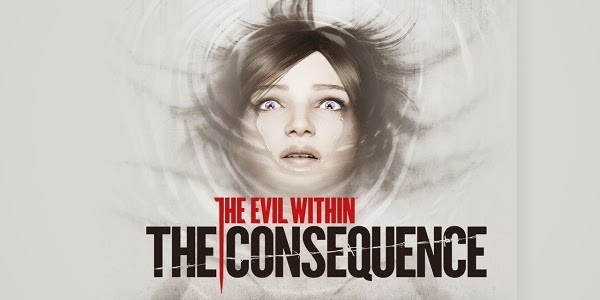 Overall The Consequence is a really good piece of DLC. For the price tag you get about 3-4 hours of playthrough with replay value offered in the form of Kurayami mode and collectibles. It's definitely worth your time. While it's not as good as The Assignment, it's still a solid piece of content that won't leave you feeling that you have wasted your time and money. -Really should have been the main game!! What I Played: Spent around 3 1/2 hours completing the 2 chapters on the default setting.